We are catering to the demands of numerous industries by offering an extensive range of Outdoor Catering Services and can be modified in accordance with clients requirements. These enclosures are designed using latest technology and are used to place equipment in safe manner, we are looking for queries from Bengaluru, Karnataka. 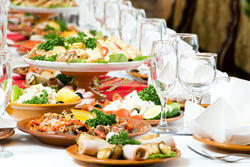 We provide special attention while catering our Corporate Catering Services to clients. All the planning is carried out by our skilled professionals, who take care of corporate invitations, ambiance of the place, design, theme and other things. We can also personalize the event as per the requirements of clients, we are looking for queries from Bengaluru, Karnataka. We provide corporate catering vegetarian food coupled with excellent service inline with our motto We Care for You !! More Than You !! Vasudev Adiga’s is a popular choice with many leading Indian and multi-national companies for their food courts and corporate canteens. Give your taste buds pleasure of delicious foods. Corporate event, small office party, or corporate cafeteria management, we are known for best in class. Hungryyy is experienced corporate caterer. Let us take care of the eating arrangements for your function, conference or event, leaving you free to get on with the business. Our service is personal, discreet and efficient and in addition to providing the food we can supply waiting staff, crockery, linen and glass hire. Cafeterias are the hubs of workplaces. Ideas come alive over discussions with coffee and snacks. The type and quality of food is therefore crucial at corporate cafeterias. With an in-house team specialising in cafeteria management, we ensure that the best of snacks and confectionary is served. 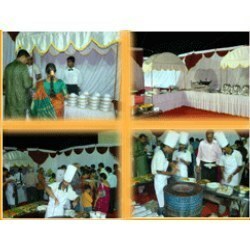 We are providing corporate catering service. SSB provides food catering facility with home made taste for your office, parties or any of your requirement which suites for market value and for your budget with corporate level. We are looking queries from the Bengaluru region only. Whatever the occasion, wherever the location, Toscano is a call away from helping you host that perfect private party, corporate lunch, birthday dinner, an anniversary special, scrumptious barbecue lunch or just an impressive high tea! A good meal makes a happy individual. When you are at work, the break for a meal is a means to rejuvenate yourself and replenish your energy. We understand the significance of a tasty and wholesome meal for a working professional. Our expert chefs have spent a good amount of time in the kitchen to decipher the perfect balance in a meal that can be served in the cafeteria of a corporate company. Diversity in food preferences have challenged us to deligently work in satisfying each and every customer. Not restricting ourselves to only weddings, we have have the honour to serve reputed and high profile companies like BPCL, HPCL, Tata Power, Reliance Group etc.